It quickly came to light that Revie had agreed a lucrative contract to take over as manager of the United Arab Emirates, a deal negotiated while still employed as England boss. Revie had endured a troubled working relationship with FA chairman Sir Harold Thompson and there would be a messy, acrimonious divorce that had lasting recriminations. A legal battle saw the FA seek to ban Revie sine die from English football for 10 years and initially get their way. Revie successfully fought to overturn that ruling, but he became depicted as a greedy man who had turned his back on his country. The dispute was such that, when Revie sadly died just 12 years later after being afflicted with the dreadful motor neurone disease, the FA was not represented at his funeral. When Revie departed his beloved Leeds United for England in the summer of 1974, he was the meritocratic choice having led his club to the First Division title just weeks earlier. There had been a number of major honours won and he could feasibly have doubled the tally, so often were they in the reckoning. But he was not everyone’s cup of tea. The ‘Dirty Leeds’ and ‘Don Readies’ jibes would be hard to shake off and there were some who loathed him and the club he built – not least the man who would controversially be replacing him at Elland Road, his arch-rival Brian Clough. Revie and his family would find Clough’s assertion that he was a “cold man” laughable, but the new boss of England would never develop the charismatic public persona of contemporaries such as Clough and Bill Shankly. And there would be various allegations made about his managerial practices which, while remaining unproven, did nothing to help his reputation and built the perception among some that he literally had a win-at-all-costs mentality. Mud can indeed stick. Revie may not have been loved nationally, but at Leeds he was almost God-like and remains adored by fans more than 40 years later. He faced a tug-of-love between club and country in the summer of 1974, deciding that the chance to lead England was one he could not turn down – even though he would have to sacrifice the chance to potentially win the European Cup with Leeds in 1974-75. “Any Englishman that is worth his salt would want to manage the England team,” he said as the former England player was unveiled as team manager. As he departed Leeds, Revie spoke of how it was like leaving behind a family. And over the next three years he would rarely seem as settled or happy with his lot as as he had at Elland Road. Sir Harold Thompson, a man with whom Don Revie had a difficult relationship. Continuing with the family analogy, it was a bit like leaving your wife and kids to set up home with your childhood sweetheart but then quickly discovering you would be inheriting a father-in-law you couldn’t stand – while your stepchildren would never bring the same love and affection as the ‘real’ ones you left behind. The proverbial father-in-law was Thompson, an Oxford chemistry don who had very little in common with former bricklayer Revie. He did not become FA chairman until 1976 but held plenty of sway before that, being seen as a key figure in Sir Alf Ramsey’s sacking in 1974. Thompson – a man widely described as an autocrat – would bluntly insist on addressing Revie by his surname, not even affording him the courtesy of ‘Mr’. One suspects that Revie may even have found some common ground with Clough had his rival succeeded him as England manager in 1977 and had to deal with the FA chief. Revie must certainly have longed for the days of serving under the likes of Manny Cussins at Leeds. If Revie was expected to make England clones of Leeds, then that was going to be impossible from the word go. Many players in his Leeds machine were not English, a number instead heading to the 1974 World Cup with Scotland. And for the English contingent, the clock was ticking on their careers. The likes of Allan Clarke, Terry Cooper and Norman Hunter would only briefly figure, while Paul Madeley was far from an ever-present. Trevor Cherry was the one man to emerge from Revie’s Leeds empire and break into the England ranks – but even then his first cap did not arrive until 1976. The point is that vast majority of the personnel Revie managed at Leeds were not there to choose and he was going to have to get used to working with a vastly new group of players. Over the years many England managers have struggled to adapt to the routine that goes with international management compared to club level. Revie arguably found it tougher to make the change than any of them. At Leeds he had spent hour upon hour at the club, forging strong relationships with everyone from star players to the tea ladies. Now he moved into a different world where he could go weeks or even months without spending time with the players and there was none of the intimacy or family atmosphere he built up with his charges at Elland Road. Leeds players taking part in activities such as carpet bowls would attract intrigue from outsiders, but it was helping with team bonding. Now with England such ideas would be met with more resistance and Revie struggled to replicate the Leeds spirit. Not that Revie was totally blameless on that score, as constant chopping and changing made it difficult to build a club-like atmosphere. Paradoxically he seemed to find the pool of players available both too limited and too wide – he privately rued the talent that was available to achieve what he wanted, but then seemed to fall into the trap of trying too many players in a bid to resolve matters. A get-together of about 80 English footballers shortly after he took the job was done with the right intentions, but to critics he was casting the net too wide by keeping so many individuals in mind. Captain Alan Ball was sent a letter informing he was not being selected for a trip to Switzerland in 1975, the 1966 World Cup winner hurt that Revie did not even afford him the courtesy of a phone call to discuss the matter as his international career came to a sad close. Fellow senior player Emlyn Hughes – the captain when Revie first took the job – would also harbour a grudge for many years afterwards, having been axed shortly into the reign (although he was later recalled). Even after Revie’s death Hughes would put the boot in, laying into him in the BBC series Match of the 70s during the mid-1990s. “I think he was virtually money-ruled,” said Hughes, slamming Revie for significantly increasing the players’ appearance money as the Liverpool star believed it was irrelevant when representing your country. 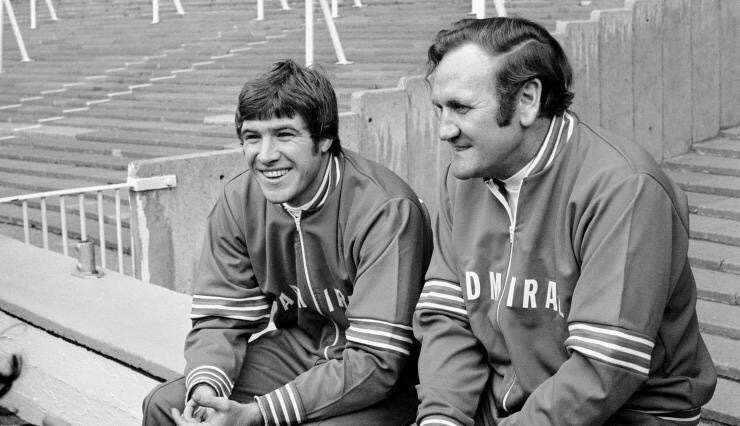 Emlyn Hughes and Don Revie – a pairing that would soon end with Hughes bitter towards the manager. The 1970s Maverick flair players had struggled to win over Ramsey and would make limited inroads with Revie too, men such as Stan Bowles, Charlie George and Alan Hudson enjoying only the briefest of international outings under him. Hudson shone on his debut in a friendly win over West Germany, then won just one more cap. It should also be noted that Revie was to unfortunately lose key players to injuries, particularly midfielders Colin Bell and Gerry Francis who both looked impressive early in his reign when the side seemed to offer a real goalscoring threat from midfield. It was a genuine blow to Revie and undid his plans. While the relationship between Revie and certain players may have inevitably fallen short of the bond he enjoyed at Leeds, it was not without mutual affection. In his resignation letter, Revie said of his players: “They have been magnificent. Many of them have been upset on my behalf and have tried too hard to get results for me, and the pressure has sometimes produced the wrong results.” One player who certainly took a shine to Revie was Kevin Keegan, who flew in from Spain to attend his former England manager’s funeral in 1989. “He was like a father figure to me,” he said during a TV interview, one of a minority of footballing personnel present who had not been part of his Leeds empire. Keegan had extra reason to be grateful to Revie, a man who forgave the player’s decision to walk out on the England squad after being dropped for a game against Wales in 1975. Had it been someone else in charge, Keegan’s international career could have ended there and then. Revie’s England reign was certainly not a great success, but it was not some catastrophic failure either. He was unbeaten in his first season, which included beating world champions West Germany 2-0 in a friendly, not conceding in his opening six games and thrashing Scotland 5-1. His first match in charge was particularly memorable, as the side beat Czechoslovakia 3-0 at Wembley in a European Championship qualifier. The nation felt buoyant, a new sense of belief emerging a year after the pain of failing to qualify for the World Cup. But Henry Winter’s excellent book Fifty Years of Hurt contains a particularly insightful interview with Revie’s son Duncan – who has sadly recently died at a similar age to when his father passed on – about how the new manager looked solemn rather than euphoric afterwards. “We just haven’t got the players,” said Revie Sr, which seemed a strange time to make such comments after a good victory. But maybe he was already wondering if he’d made the right decision to leave Leeds for England. The 3-0 win had probably raised expectations higher than he knew they realistically should be; he was struggling to strike up a positive relationship with certain FA bigwigs such as Thompson and encountering obstruction from the Football League as he sought to rearrange club fixtures for the benefit of the national team; and he’d seen his beloved Leeds taken over by his arch-nemesis Clough and then plunged into disarray, the man lasting just 44 days at Elland Road as the near-invincibles of the previous season lay well down the table. But there wouldn’t be many grumbles over the next few months about Revie and England, although a dismal 0-0 home draw with Portugal in his second game removed some of the initial optimism. The turning point in Revie’s reign came exactly a year after his first game, when England lost the return match against the Czechs 2-1 and ultimately failed to qualify for the last eight. It was Revie’s first defeat and came when he could least afford it. There were fine margins, the Czechs going on to eventually win the tournament when it could so easily have been England in the finals instead. While England’s qualifying exit lacked the pain and drama of the failure to make the 1974 World Cup, it was still a black mark against Revie’s name. He wouldn’t be hounded out for missing out on the Euros but would be judged on whether England could make the 1978 World Cup. It had been his aim since day one – actually declaring early on he believed they could win it – but now there was increased pressure on him to deliver. England’s decline meant they were no longer seeded and they paid for it by being grouped with Italy, only one side being able to reach the finals in Argentina. 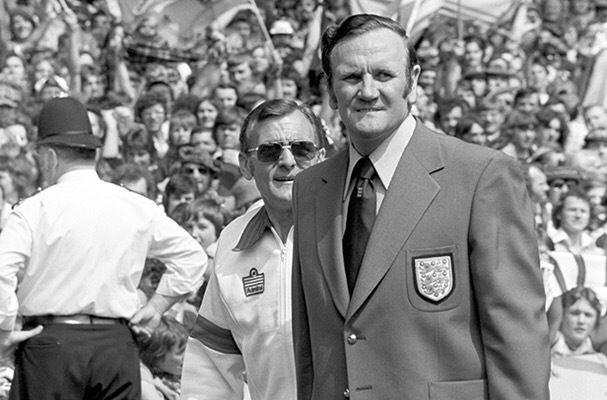 D-Day for England and Revie came in November 1976 against the Italians in Rome. With the other teams in the group being the minnows of Finland and Luxembourg, it was likely to boil down to the head-to-head battles between Italy and England, plus possibly goal difference. A narrow 2-1 home win over Finland the previous month did nothing to help Revie or raise confidence. England could not afford to lose in Rome. Revie, a man famed for his dossiers at Leeds, was diligent in his research as he watched the Italians multiple times. But his selection would be criticised as he made a series of changes and the team had an unfamiliar line-up and shape (including a back four that had not played together before), set-up with the intention of trying to stop the Italians. The Revie plan didn’t work. The loss marked the beginning of the end. Things would get worse with the Netherlands, Wales and Scotland all winning at Wembley between February and June 1977. The defeat by the Dutch emphasised how far England now lagged behind the top sides. The only positive result at Wembley during the run, a 5-0 win over Luxembourg, was considered merely European football’s equivalent of squatting a fly. Even when England won 2-1 away to Northern Ireland in May, Revie would be told that it it had been “a load of rubbish” by Thompson. It was hardly a classic England display, but the comments summed up the chasm that existed between Revie and his employer. By then the end was in sight, a job offer emerging in the United Arab Emirates. Revie oversaw a draw-laden tour of South America that did give a degree of cause for optimism as England matched Brazil, Argentina and Uruguay. But he was already planning his way out, secretly heading off to the UAE to finalise the deal during the tour. Don Revie during his England reign. On July 10, Revie celebrated his 50th birthday at the start of a hectic week. The following day he posted his resignation letter and that night the first glimpse of the following day’s Daily Mail front page led to sports journalists desperately playing catch-up. On July 12 the news broke that Revie had quit, amid some initial speculation he may be heading for Manchester United. But 24 hours later the Mail broke yet another major exclusive, revealing he was taking up a very well-paid job as the United Arab Emirates team manager. A storm was brewing and the FA were seething over Revie’s conduct, while critics perceived him a traitor to the national cause and a man who had been unwilling to ride the storm and try and turn fortunes around. But had Revie really been that or was he simply jumping before he was pushed? He would maintain he knew the axe was coming and wanted to get out while there was a job offer and security on the table. He also claimed the FA had approached Bobby Robson behind his back (an allegation Robson vehemently refuted in his 1986 World Cup Diary, although another source suggests the approach was made to Robson’s Ipswich Town chairman John Cobbold). If true, it does seem a bit like branding a man a homewrecker for moving out after discovering his wife had been having an affair with another man. 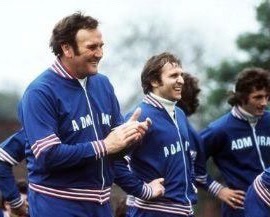 If the FA were really planning for life after Revie, then they should have been upfront with him. And he too should not have gone behind his employer’s back. Both parties could certainly have avoided a lot of aggro had they simply agreed to part amicably. The ideal solution would have been for Revie to leave by mutual consent, saving him the indignity of being sacked butalso offering the comfort of having a well-paid job to go to without any legal wrangles to negotiate. Or the deal with the UAE could have been done through the right channels (given the money Revie would reportedly be paid, his new nation could certainly have afforded to pay compensation). Instead the departure was rich in controversy, with it being reported Revie had skipped part of the South American tour to get the deal sorted while officially claiming he was off to scout Italy against Finland; it was also claimed he had made enquiries to the FA about resigning but still wanted to have his salary paid up (leading the FA to feel he had tried to deceive them, given he had another job offer on the table) while it did not help that he had only recently declared he would be seeing the job through until at least after the home game against Italy in November. Unfortunately, the combination of Revie having sold his story and taking a job in a nation rich in finance but not football heritage did nothing to stem the perception he was money-obsessed. Doing an exclusive deal with one tabloid also inevitably irked rival football correspondents and the publications they worked for, few offering much support for Revie. “To be blunt he doesn’t deserve sympathy,” wrote McGhee. “Pressure, criticism and unpopularity are his basic reasons for quitting. But all three are part of the deal for any manager, particularly one in the England job. Alf Ramsey and Walter Winterbottom can testify to that. And they weren’t paid anything like Revie’s £25,000 a year to take it, live with it and shrug it off.” Wherever you looked with Revie, money seemed to creep in. But McGhee’s article assessing Revie’s reign was more balanced than that of David Miller’s in the Daily Express, who seemed particularly keen to get one back on the outgoing manager for selling his story to the paper’s main rival. Without naming him directly, Miller scathingly branded Powell “an acolyte journalist who touchingly still believed in the myth of Revie’s infallibility.” He also cast doubt upon the reasons Revie gave for quitting, writing: “Revie has said his resignation came because his family were upset by the pressure, but his daughter’s appearance, straight from boarding school, to sing in a Luton nightclub was hardly the action of a sensitive, publicity-shy girl.” Miller went on to list all sorts of reasons why Revie should be viewed as a failure, including his high turnover rate of players and the changes he made for the game in Italy. For Revie there remained a legal contest with the FA. Even when he was successful in overturning a hefty 10-year ban from working in English football, it proved something of a Pyrrhic victory as the judge came out with a series of damning comments in his summing up that further sullied Revie’s reputation. 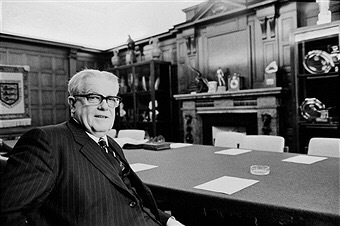 The High Court was told that Revie had shown “disloyalty, breach of duty, discourtesy and selfishness” and that his conduct had led English football to “a high level of disrepute”. By the time of the verdict in December 1979 Revie was well-settled in the UAE and enjoying life out there. His managerial work did not reap obvious rewards at the time but the side ultimately went on to qualify for the 1990 World Cup, his reign almost certainly helping move things forward. Sadly Revie would not live to see it, his painful struggle with motor neurone disease blighting the last couple of years of his life before he died in May 1989. It was merely 15 years since he had taken charge of England, when hope briefly grew before it all went sour. Revie did not find life easy as England manager and some mistakes were made. But one can’t help wondering if he might have found things easier as England boss if he had been born in a different era and was around today. He would hardly be alone in today’s football world in being associated with making money (Sven-Goran Eriksson certainly was); he would have the benefit of international breaks, which he tried unsuccessfully to introduce; finishing second in qualifying groups would not leave England in the wilderness as happened in Revie’s days; and he would surely find the current FA bosses preferable to Thompson. Even if things did not work out, he would almost certainly be able to part on more amicable terms than he experienced in 1977. Some of his successors, such as Eriksson and Sam Allardyce, had messy departures which – while not exactly the same circumstances as Revie’s – did not see them have to fight just for the right to work in English football again. In many ways the Revie England reign reminds us of Graham Taylor’s. Both men took charge of England after plenty of club success but they seemed unable to replicate the same spirit at international level. However, they began amid national optimism with an unbeaten first season but then suffered a costly defeat in the second. Things would turn sour in the third season and leave both men knowing England were unlikely to qualify for the World Cup and they were facing the axe. Each would receive criticism for dropping senior players and over some of those they called up as they handed out a plethora of new caps, while both men had the misfortune to lose key men due to injuries. But for all the comparisons, the way they would be perceived in later years was vastly different. When Taylor died earlier this year, the Football Association voiced its deep sadness and most seemed to recognise him as a decent man who gave his all; when Revie died in 1989, the FA steered clear of his funeral. It summed up the messy way that the Revie years ended – whereas Taylor saw it out until the bitter end, Revie jumped before he was pushed and, while he enjoyed a good standard of life in the United Arab Emirates, found himself ostracised from English football. It was a sad situation that perhaps summed up Revie and England – it was a relationship that could have worked so well, but seemed fated never to turn out happily.